I studied printed textiles at Glasgow School of Art and went on to do an MA in mixed media textiles at London's Royal College of Art. London is where I am now based. I began my career working on textile designs for the fashion industry. Then a mural for the fashion boutique Paul & Joe in London led to futher commissions in private houses and other commercial projects. 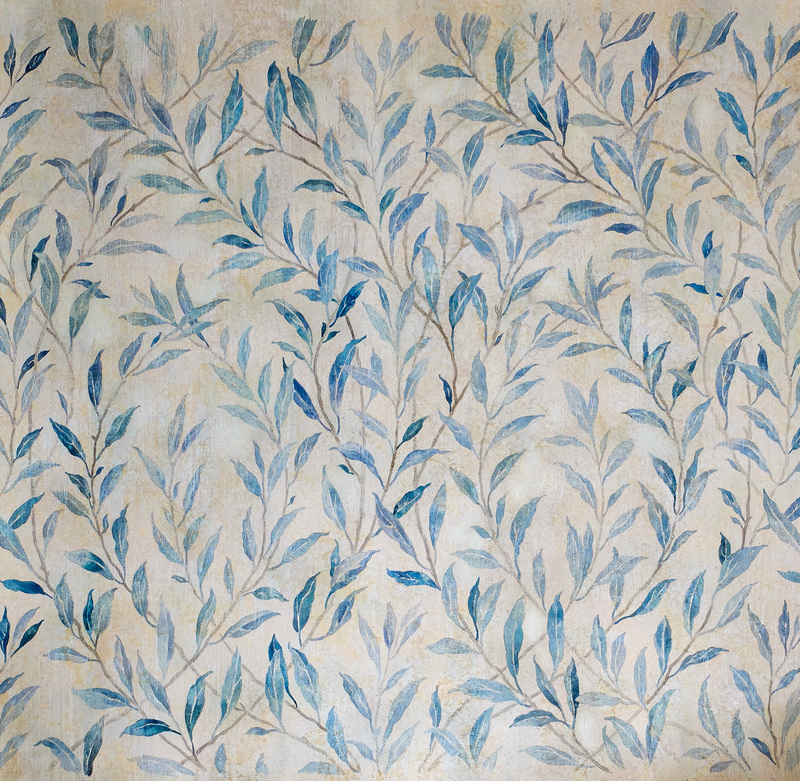 I have also designed fabric & wallpaper for Lewis & Wood, Sandersons, Zoffany, Mulberry Home & GP & J Baker. In 2010, I was elected as a member of the Art Workers Guild, among whose founding members was William Morris. "I would describe my style as treading a line between traditional and modern..I'm very inspired by historical houses and like to imagine how their atmospheric decorative schemes would work in a contemporary setting.' Her work, which ranges from delicate depictions of flora and fauna to bold abstract pattern, can take from five days to a month to execute.' Sometimes I'm given a colour palette to work from; otherwise, I base colours on furniture, lighting and flooring already in the room. It takes time to get this right. 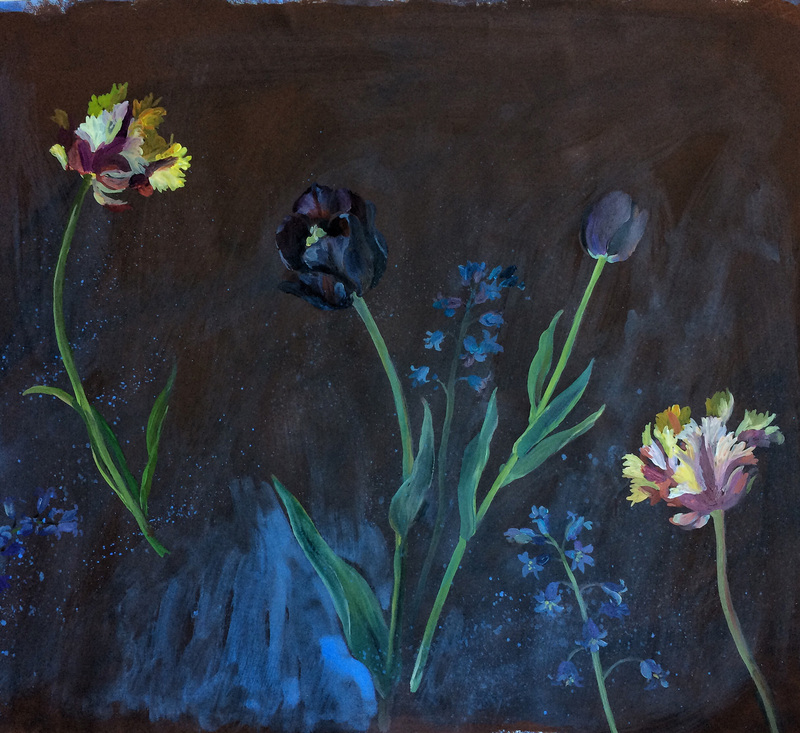 If the subject matter is more neat and graphic, it has to be planned carefully, but if it is more natural, the painting can evolve organically and often benefits from this approach." Mostly I have worked on decorative schemes that cover a whole room or just a wall, but also on large scale paintings that some clients prefer to a mural. 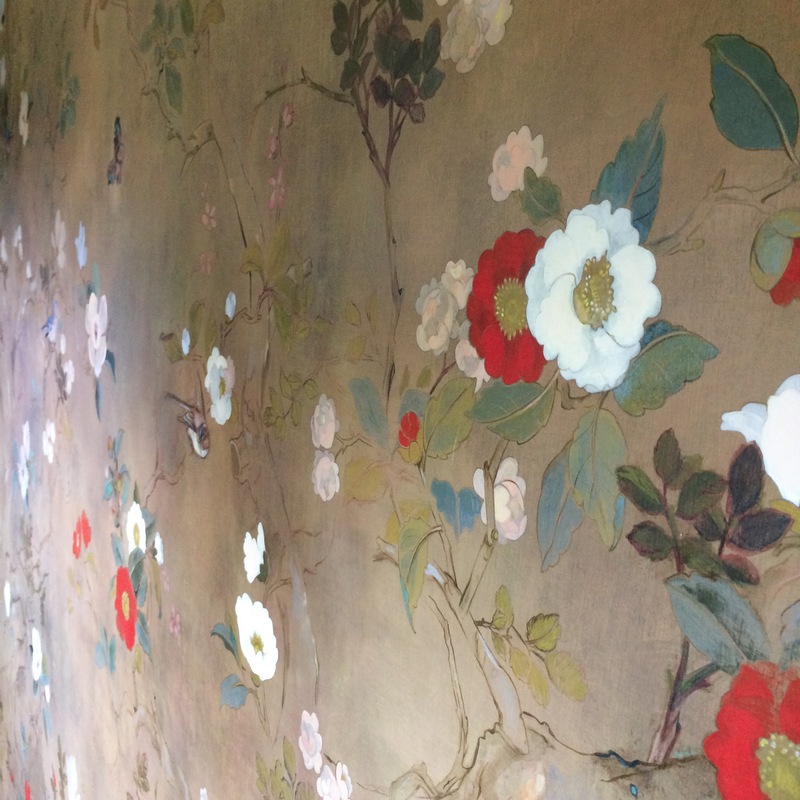 Another option can be a large area of canvas fitted to the walls of a room and pasted in place much like wallpaper, but with far fewer seams. When I am not working on design projects my personal work informs my designs & visa versa. 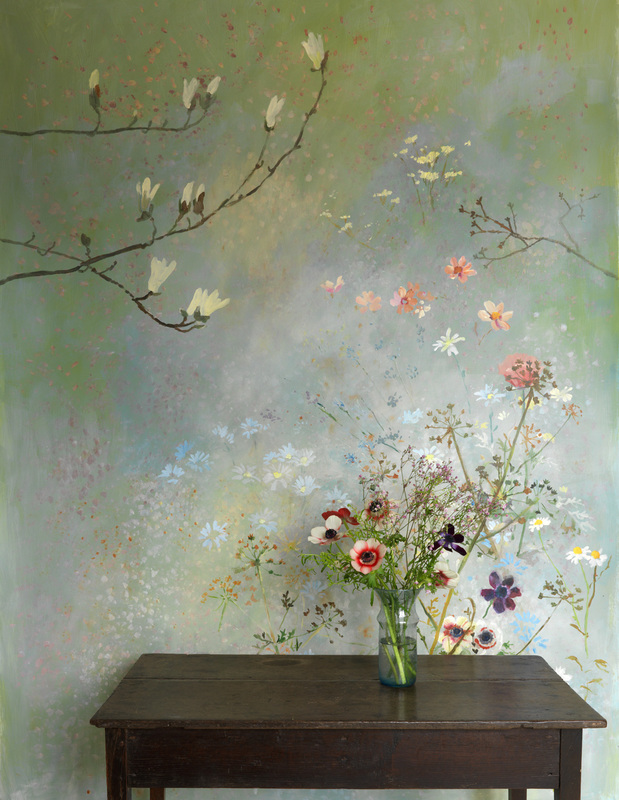 Wallpaper companies have been interested in my painterly approach. Lewis & Wood gave me my first commission and an interest to create more. Above from the top: artworks for the wallpaper companies GP&J Baker & Sanderson. 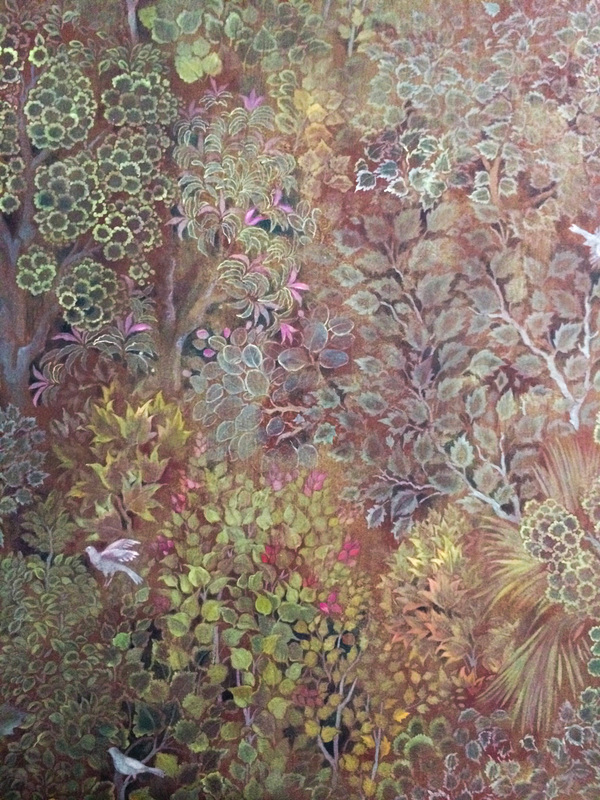 My decorative murals have been based mostly on the natural world. I sometimes manipulate trees and flowers to make a room appear bigger. If a more relaxed setting is required, I can use looser brushwork. Motifs can be painted directly onto a flat wall of emulsion or distemper and textures in the background can add extra dimension with the feeling of different depths.